To try on your phone is only 2 easy steps, check it out! 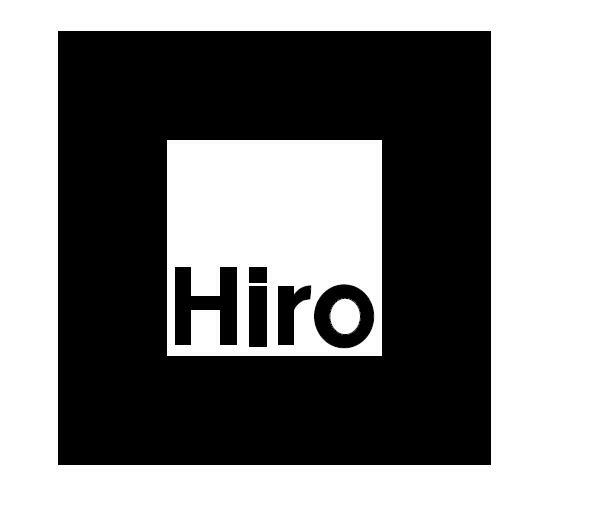 Open this hiro marker image in your desktop browser. Open this augmented reality webapps in your phone browser, and point it to your screen. You are done! It will open a webpage which read the phone webcam, localize a hiro marker and add 3d on top of it, as you can see below. chromium! thanks for being so fast! After all this work done by a lot of people, we have a web-based augmented reality solution fast enough for mobile! We are still early in the project but here are some initial numbers to give you an idea. Some reports it working on windows phone edge!! 13fps on Lumia 950 for some. 40-45fps on lumia 930 for others. Obviously you mileage may vary. The performance you get will depend on 3 things: How heavy your 3D is, How you tune your parameters and the hardware that you are using. With this project, we bring more performance to artoolkit. artoolkit is a software with years of experience doing augmented reality. It is able to do a lot! It is marker based. It supports a wide range of markers: multiple types of markers pattern/barcode multiple independent markers at the same time, or multiple markers acting as a single marker up to you to choose. We’ve been collaborating very closely with Fredrick Blomqvist. His input has had a great impact on AR.js innovation and we want to thank him. Together, we’ve been implementing refraction, giving the 3d a transparent/glassy effect. It ended up having a nice polished look. What do you guys think? Other crazy ideas we’ve been working on include a hole in the wall and a portal into another world. We want to take AR.js to new dimensions. A-Frame magic :) All details are explained in this super post "Augmented Reality in 10 Lines of HTML - AR.js with a-frame magic" by @AndraConnect. We started a AR.js blog, thus we can write about all the crazy ideas related to AR.js. How to write a AR.js application ? Here is a full tutorial by marmelab featuring François Zaninotto. It explain how to code a full application on phone! Step by Steps, with explaination and videos. Very great! the perfect step if you want to start writing AR application today. Pattern Marker Training : Generate a pattern marker with your own image. I would like people start experience augmented reality and play with it. This is highly creative! Just look at this puzzle game in #AR playing with mirror and laser beam. You could do it with AR.js, so opensource and running on normal phones, no need to buy a new device. isn't that great!